President Buhari has commended Rev Fr. Ejike Mbaka, for his patriotism in the run-up to the 2015 general elections, saying his courage has earned him a mark in the sands of time. 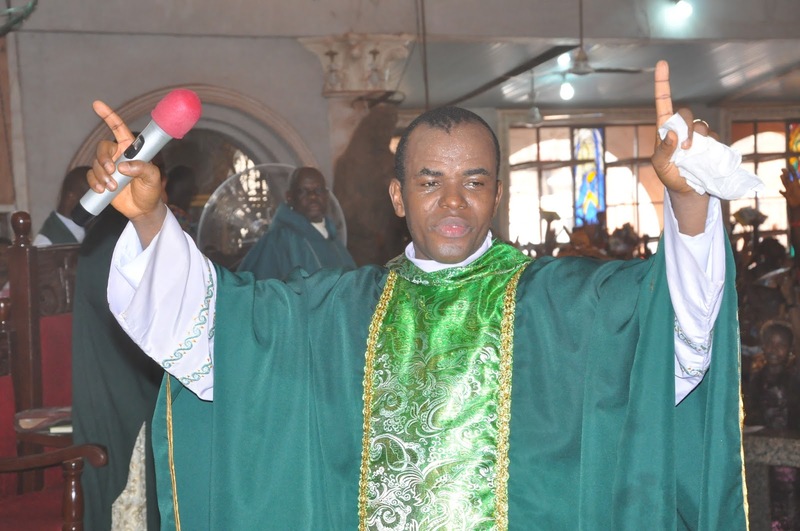 In a statement Thursday to congratulate the leader of the Adoration Ministries Enugu, Nigeria, on the occasion of his 20th priestly ordination, the President said history would favour Mr. Mbaka for courageously speaking truth to power, even at great risks. In the statement signed by Garba Shehu, Mr. Buhari said Fr. Mbaka chose the part of honesty, despite realizing that it could attract hostility from those he described as “leaders detached from reality”. The President said the priest’s courageous actions, while the Peoples Democratic Party was still in power, was clear evidence that religious leaders are the custodian of truth and morals in society. He said Mr. Mbaka’s decision to identify with the masses, and uphold the struggle for improved governance was enviable. The President said he was very impressed by the priest’s sincere comments and patriotic disposition over the state of the nation at the time. He also prayed God to grant Fr. Mbaka greater wisdom, good health and long life, as well as a continued resolve to serve humanity. 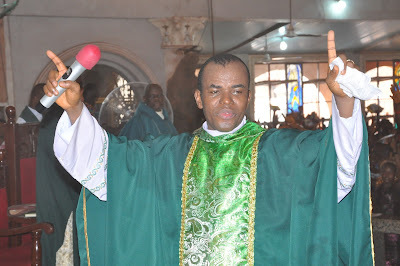 On December 31, 2014 Rev Father Camillus Ejike Mbaka had told Nigerians to use the then approaching general election to vote Goodluck Jonathan out.